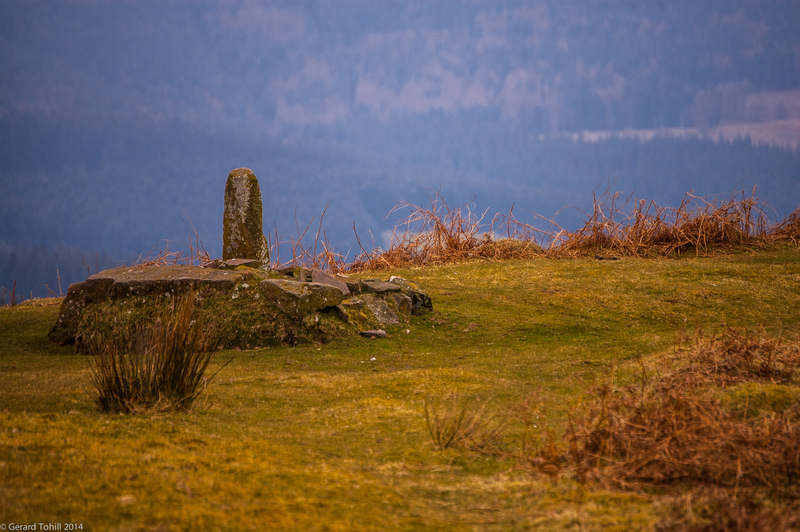 As you head north along the ridge that runs past the iron age hill fort at Twyn-y-Gaer, on the way to Garn Wen, you come across the standing stone known as the Revenge Stone. It supposedly marks the spot where a Norman Lord was killed by the Welsh (after he allegedly dismissed his bodyguard and proceeded along the ridge with just his minstrel and his singer). The truth is, the placing of the stone is, in all probability, rather more pragmatic, as the stone is sited in a slight dip in the ridge and marks a crossing point of two tracks.